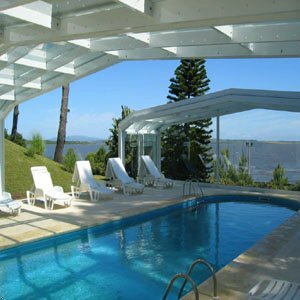 Barcelo Club del Lago is a 5-Star hotel, located next to the Del Sauce Lagoon, with 35 rooms and suites, just 14 miles from International Airport Carlos Curbelo, and 9 miles from Punta del Este. Highlights of this recently-built facility include the adjacent 18-hole golf course and its particularly peaceful location, ideal for families, couples and golfers, this hotel offers magnificent views of its natural surroundings, sports enthusiasts will be delighted to know that the hotel is integrated within the Club del Lago golf club, the finest 18-hole course in the country and one of the best in South America, in addition to 10 tennis courts and 2 paddle-tennis courts. Standard guest room with 2 double beds. 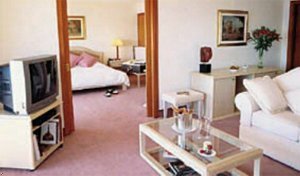 Room includes lagoon or garden view, full bathroom, mini bar, terrace or balcony, heat/air controls, satellite TV, telephone, in-room safe, and room service. Superior guest room with queen bed. Room includes lagoon or garden view, full bathroom, mini bar, terrace or balcony, heat/air controls, satellite TV, telephone, in-room safe, and room service. One bedroom suite with king bed. 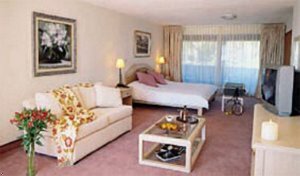 Suite includes lagoon view, separate living area with furniture, center table, mini refrigerator, sideboard, 4 chairs, 2 full bathrooms, mini bar, terrace or balcony, heat/air controls, satellite TV, telephone, in-room safe, and room service. From the airport, take the Ruta Interbalneria at 116km, turn left 2km to arrive to the hotel. * La Navicella - open 11am-11pm, casual, buffet dining. 10 miles east to the property. 80 miles west to the property. 1 mile south to the property. 3 miles east to the property. Two meeting rooms are available for use, with an overall capacity of 120 persons.